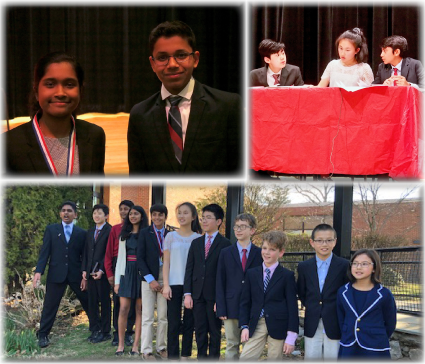 The CT Middle School Debate League held its final tournament of the 2019-20 season on Saturday, April 6, 2019 at Eastern Middle School in Greenwich. A total of two hundred thirty-one students representing twenty-one schools competed. Eighty-four teams debated the motion: This House would prohibit the development and implementation of human gene editing. Proposition won 52% of the debates. Gayathri Kaimal, Katie May and Sean Thomas from Middlebrook Middle School in Wilton prevailed in the final round over Westfield Academy in West Hartford. Dev Madhavani from Westfield Academy took the top speaker award.